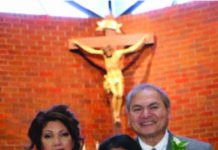 Rex and Jacqui Manalansan celebrated their 25th Wedding Anniversary with the renewal of vows at St. Catherine’s Catholic Church in Vallejo, followed by a reception at the Hilton Garden Inn in Fairfield on Dec 16, 2017! 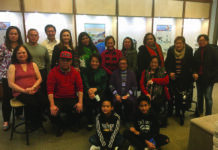 In the picture, with their one and only daughter, Reanah Manalansan. 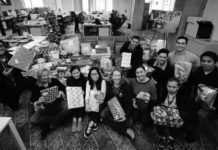 Congratulations to Zenna Ira for successfully performing in a series of Holiday Shows last December. 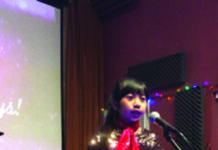 Zenna is currently the Singing Champion - Child Star Category of St. Andrews Church in Daly City. Taos Puso Kaming nagpapasalamat sa inyong lahat na aming mga “suki” at magiging suki sa inyong walang sawang pagtangkilik at pagtitiwala. Masaganang Bagond Taon! 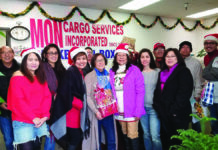 From The Family of Mon Cargo Services, Inc. 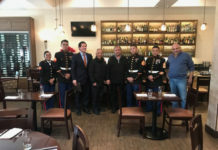 US Marines along with San Mateo County Supervisor David J. Canepa celebrate a South San Francisco business, Amoura Restaurant, that stepped up to provide a place to store an overwhelming number of toy donations that came in this holiday season.